Mark Stone offered a full-throated retort to a report on Wednesday that hinted he may no longer want to be an Ottawa Senator because he didn’t like the direction the team was heading. Stone, the Sens’ 26-year-old likely future captain, is priority No. 1 for the future of a franchise that has clearly taken a long view in the wake of Erik Karlsson’s departure. But since Stone can’t be signed to an extension until after Jan. 1 after he inked an arbitration-avoiding one-year deal for $7.35 million in August, he has moved to the backburner. So, where does that leave Matt Duchene? The Senators have just three current NHL roster players committed beyond 2019-20: Bobby Ryan, Marian Gaborik and Zack Smith. There is a chance Gaborik won’t play again. That makes Duchene the next most pressing concern and No. 1 in the short-term – especially given the fact that GM Pierre Dorion gave up more to get him from the Avalanche last November than he received in return for Karlsson. Dorion seemed relaxed when addressing both Stone and Duchene’s future last week: “We’ll just let nature take its course in the future,” he said. Duchene, 27, said earlier this month that talks on a new deal hadn’t begun, but that was fine with him. In his eyes, he said he would prefer a longer runway to make a decision. “It’s definitely something I would consider, absolutely,” Duchene said at the NHL’s Player Media Tour in Chicago. “We’ll see how things go. Obviously it’s the business side – I don’t have a crystal ball. It’d be good for me to see how we start and, obviously, these are big years of my career. For the second half of last season, it was simple for Duchene. He clicked with linemate Mike Hoffman once the calendar flipped to 2018 and put up some of the best numbers of his career. He closed with 20 goals and 23 assists for 43 points in the final 44 games. Yes, the pressure was off with the Sens largely out of the playoff race, but Duchene said he was able to enjoy playing again for the first time in a long time. He picked up an assist in his first preseason game of the season, but there are two clear two hurdles now in the way of Duchene easily getting back into his groove: Hoffman is gone, traded to San Jose and flipped to Florida after team drama spilled into the public domain, and he is facing a career crossroads. Does he want to stay close to his Haliburton, Ont., home and see through a massive rebuild? Or does he want to explore free agency for a chance to win elsewhere? 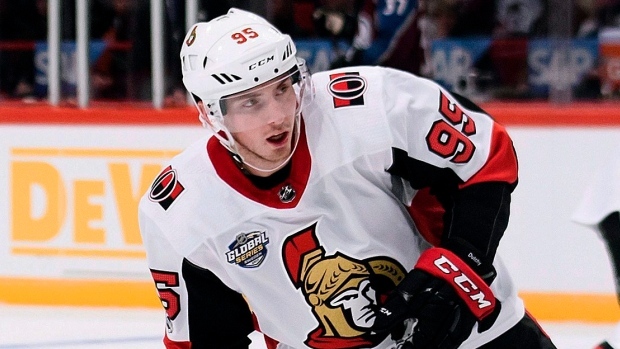 Duchene closely watched John Tavares navigate the free agent market over the summer. While he wouldn’t be on nearly the same scale, Duchene would still be one of the larger names to hit the free agency in years - and there has to be a part of that that intrigues him. Perhaps factored deep into all of that somewhere is the fact that Duchene knows the Senators paid a hefty price to land him. If he isn’t going to re-sign, Dorion will have to do everything he can to bring a solid return before the Feb. 25 trade deadline. That’s a lot for one player to weigh, another dramatic subplot for the Sens to weather in what appears to be a trying season ahead.